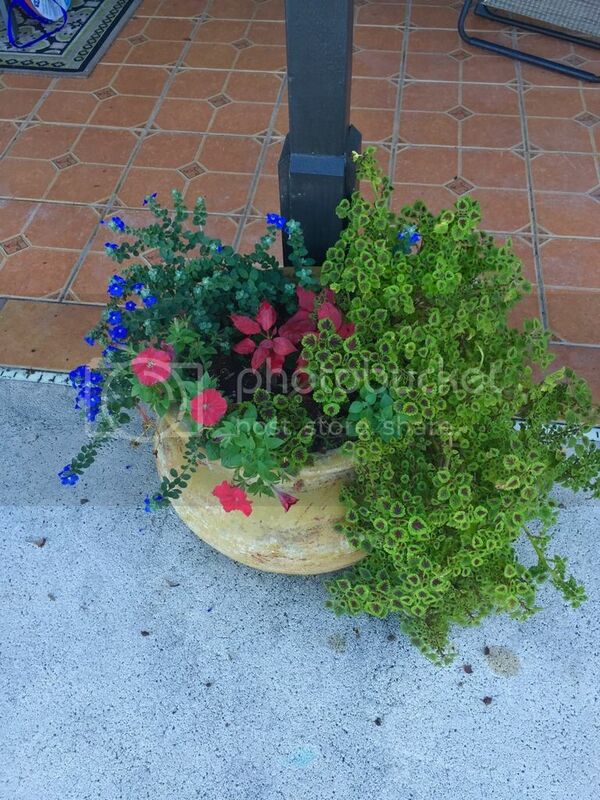 I was going to post an update on some plants on Veteran's Day including this patriotic planter I have. I got busy but want to share for our French posters. My thoughts and prayers are with the people of France and our French posters. Be safe. We stand with you as you did for us.